MasterCard blackjack sites are online blackjack websites where you can play blackjack for real money and make deposits using a MasterCard product. MasterCard is a multinational financial services company most famous for their line of credit, debit, and prepaid cards. The company was formed in 1966 as a merger between several banks. Their first product was designed to be a direct competitor to the BankAmericard released by Bank of America the same year. That card would later become the VISA credit card. To this day, VISA is MasterCard’s main competition. The use of MasterCard products to fund online gambling accounts at sites that offer blackjack and other games is nothing new. From the earliest days of online gambling in the mid-1990s to today’s mobile and social gaming platforms, gamblers have always relied on MasterCard’s services to add real money to their online blackjack accounts. MasterCard products come in seven basic categories. From prepaid cards loaded by the customer, to debit cards linked to bank accounts, to five different tiers of credit cards, MasterCard has a huge share of the global financial marketplace. Using a debit or credit card like a MasterCard is the easiest way to transfer money to your blackjack account. We cover the process below in detail. But we want to start by explaining that a number of players aren’t allowed to use their MasterCard product to make a deposit. The largest market that’s generally restricted from using a MasterCard-branded card to make a blackjack deposit is North America. Americans and Canadians are not allowed to use a MasterCard to make a deposit to a gambling site of any kind. This is because all North American financial companies are obliged to follow the recommendations outlined in the Unlawful Internet Gaming Enforcement Act (sometimes called the UIGEA). This law passed in 2006, and stated in part that no US financial organization could process payments to or from known gambling sites. Though the law passed in 2006, MasterCard didn’t fully comply until early 2010, just before the deadline imposed by the UIGEA. MasterCard was joined in this effort by VISA, American Express, Discover, and every other major American financial brand. If you try to use a MasterCard to deposit to a blackjack site, and you live in North America, your transaction will simply be refused. Outside of the North American market, MasterCard is generally happy to process gambling deposits and withdrawals. That means blackjack players in Europe, Asia, and Oceania are welcome to make funds transfers to their gambling accounts with a MasterCard brand financial product. Applying for and getting a MasterCard-branded credit card is the same as applying for any other credit product. These days, most people apply online, though you can also apply by phone. You’ll first need to select which card you’re interested in, based on your needs. MC has cards for travelers, business owners, moms, and even fans of different sports teams and hobbies. Once you’ve applied, the company runs your credit and then determines if you’re eligible for a card. Using a MasterCard credit card is just like using any other financial product – swipe or enter your details, sign your receipt or enter your PIN, and you’ve made your purchase. We contacted a customer service rep from MasterCard who said your best bet if you want a branded debit card is to simply ask your bank if they offer any MC products. Most of the larger commercial banks offer some form of MasterCard product, though you may have trouble specifying which brand of card you get at local banks or credit unions. Understand that most blackjack sites that accept MasterCard debit deposits will also accept deposits using a VISA or other major brand, so it almost doesn’t matter what brand your debit card is. You can buy these cards card online or at retail shops and kiosks. You have to activate the card by calling the phone number on the back. This step also usually activates your card. You may need to provide limited personal information, such as a government-issued ID number. Add funds to your card, either when you buy it, or buy adding money online from an accepted source. Many MasterCard-branded products can be set up to accept direct deposits and bank transfers. You can use this card to buy anything you’d buy with any other MasterCard, including at online blackjack sites that accept MasterCard deposits. To use a MasterCard to fund your online blackjack account, the first thing you need is an active account at a site that offers blackjack, accepts payment and pays deposits via MasterCard, and does business with customers in your neck of the woods. Once you’ve got an account opened (it requires only a couple of details, costs nothing, and takes just a few minutes) it’s time to add money to that account so you can play real money blackjack. It works like this – you visit the site’s cashier page, select MasterCard as a deposit option, enter the amount you want to deposit, and click the “submit” button. It’s just like making an online purchase. What happens next is that the site queries MasterCard (or your bank), determines the purchase is valid, then adds funds to your virtual account equal to your deposit. Withdrawing funds via MasterCard works the same, just opposite. You’ll request a payout, the site will determine your request is valid, then the funds will be returned to your MasterCard. In some cases, sites will accept deposits via MasterCard, but won’t want to pay winnings using that method. At those sites, you usually have to request a paper check, an electronic transfer, or a money order. MasterCard deposits and withdrawals will occasionally incur fees. This isn’t always the case. Every site offering online blackjack and credit/debit deposits and withdrawals is a little different. You’ll just have to look for yourself before you make a deposit to make sure you aren’t going to be charged a ridiculous fee. 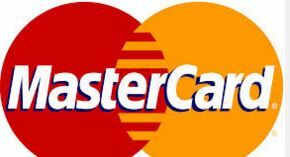 Other sites charge no fee for MasterCard transfers. In fact, plenty of sites offering online blackjack will give customers a special bonus for using their credit/debit card to make a deposit. If you’re interested in earning a deposit bonus based on your use of a MasterCard product, check with your blackjack site’s customer service staff. The use of a credit, debit, or prepaid card offers you more protection from security concerns than most other deposit methods. MasterCard gives you an added layer of security, and will even help you recover your money if you feel you’ve been defrauded. The extra security measures used by MasterCard to prevent identity theft is a huge boon for online gambling fans looking to beef up their personal security or protect their financial information from prying eyes. If you feel secure when you use your MasterCard to pay your Netflix bill or order a pizza online, you should feel totally secure using it to send and receive money to and from blackjack websites. Finding blackjack sites that don’t offer MasterCard deposits and withdrawals is still much more difficult than finding sites that do, as long as you’re not talking about the North American market. Part of the reason for this is the popularity of the MasterCard brand itself. Another reason is the additional security provided by MasterCard (and other big financial companies). Outside of the US and Canada, MasterCard has almost no reliability issues, with close to 100% acceptance rates, similar to their main competition in VISA and American Express. When you use your MasterCard product to make a deposit to an online blackjack site, you can do so with confidence in both the security and viability of the transaction.